The V8 Series of Aston Martin sports cars had been successfully produced since 1969, and a replacement was well overdue. 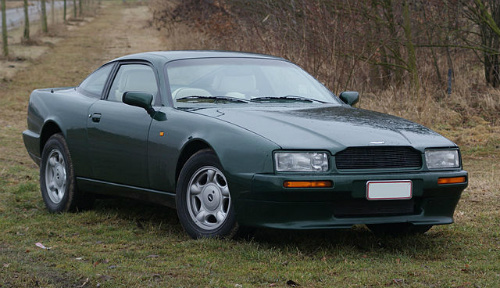 Consequently, in late 1988, and as a natural evolution, the successor was introduced at the Birmingham Motor Show as a 2+2 coupe, and designated the Aston Martin Virage sports car. It was positioned as the company's premier and exclusive model, and the timing of the launch coincided with the acquisition of the company by Ford of the US. In terms of styling, it's sleek lines, which produced a drag coefficient of just 0.34, resembled that of a Lagonda rather than the classic lines of the V8 Series. It was fitted with spoilers both front and rear, and stylish flush headlights. The influence of Ford was noticeable in the fact that, as a cost-cutting measure, a number of the car's' components were sourced from a wide range of companies, including the Parent. Although it used aluminium body panels, it was still a heavy car with a curb weight of 1790 kg. 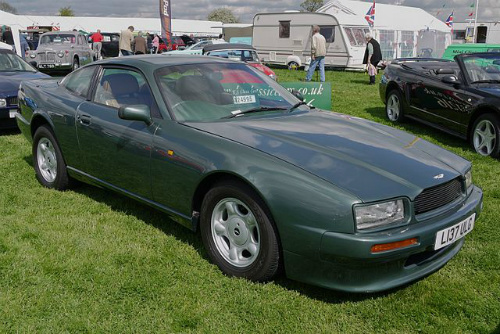 When production ended in 1995, Aston Martin had built a total of 365 Virage sports cars. 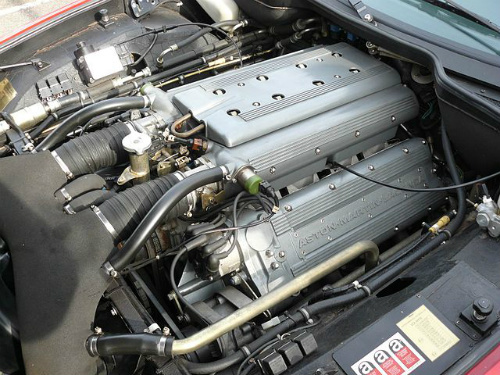 The Virage was powered by a front-engined, all aluminium, 5.3 litre, 32 valve, DOHC, V8 unit with the head modified by Callaway Engineering in the US, and incorporated a modified intake manifold and Weber-Marelli fuel injection. This developed 330 bhp at 5300 rpm, and 350 ft/lbs of torque at 4000 rpm. Fitted with a ZF five speed manual gearbox and using a 9.5:1 compression, it produced a top speed of 158 mph, with 0-60 mph in 6.5 secs. Interestingly, the majority of customers preferred the optional Chrysler three-speed Torqueflite automatic transmission. Towards the end of production, an optional six speed manual gearbox from the Vantage sports car was offered. In January 1992, as part of a programme of improvements, existing customers were able to replace the original 5.3 litre engine with a 6.3 litre V8 unit that had been incorporated in the Aston Martin AMR1, a Group C sports car racer that was entered in the 1989 Le Mans 24 Hours race. The new engine developed 500 bhp at 6000 rpm, and 480 ft/lbs of torque at 5800 revs, which gave the car a top speed of 175 mph. The conversion included fitting larger vented disc brakes, 18 inch wheels, air dams and side air vents.